Break Bread Whether you enjoy an entire meal together or simply have popcorn and drinks, sharing food is a great way to break down barriers and promote openness. Relationships grow exponentially quicker when food is involved. Learn About Each Other Before you dive into Bible study or watching a video, take a few minutes to learn one another’s stories. Answering one or two questions each week leads to great discussion and can often become a powerful bonding time that everyone looks forward. Use crowd-breaker questions, or steal cards from a game like Zobmondo or Would You Rather. Unpack God’s Word You might watch a video, read a book together, or work your way through a section of the Bible. Whatever you are doing to promote spiritual growth, do it in a way that empowers every group member to participate and own the process. Open-ended discussion questions are usually the best way to get people egaged in the conversation. 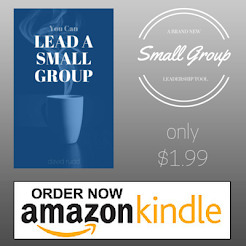 There's nothing magical about small groups! Simply getting a group of people to meet together regularly doesn't, by itself, transform the church, result in revival, instantly produce mature Christians, or meet the needs of those meeting together. What does make small groups vital parts of the church that impact congregations and communities is the motive of the group participants. Emma is an amazing girl. In addition to being an all "A" student, she is a competitive gymnast (her team was 10th in the state this year), plays basketball, and excels at two musical instruments. Each spring, we celebrate her musical accomplishments by sitting through her recitals. Last year, as I sat and listened to the other students, enduring the missed notes, dissonant chords, and choppy timing, I began to think about the nature of a recital. Students practice six months for this one performance, yet the reason their parents have put them into lessons has nothing to do with this recital or the lessons or all that practice. The reason for piano lessons is to learn a lifelong skill that will enrich one's life and the lives around them. Recital's are just a step along the way. Here is a simple thing to do with your group to encourage more/better Bible study. Pass out the list below, and encourage everyone to choose 5 of the 13 options to try during the week. When you get back together, have people share the ups and downs of trying different ways of doing Bible study.